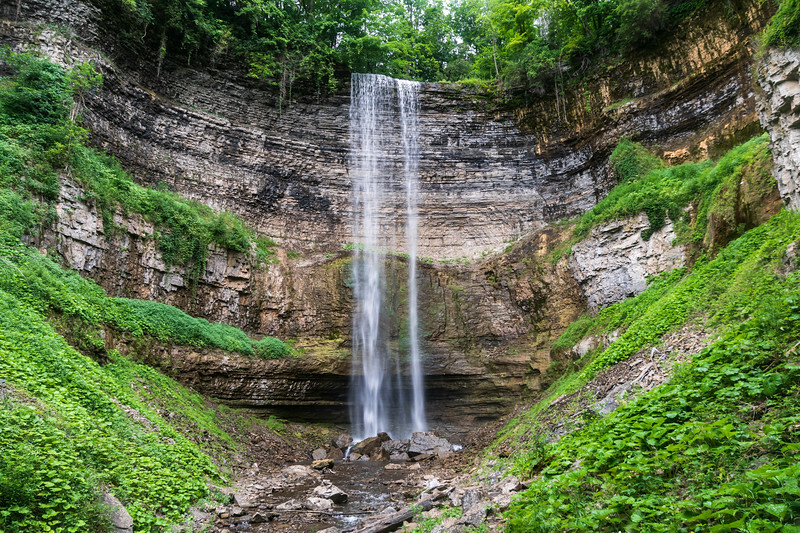 The Good: Hiking into the bottom of the falls becomes significantly easier, as areas and trails you'll need to cross, or areas where water may overlap the trails are now dry. That means less mud, less sliding around, and an easier hike. The Bad: For the photographers, it likely means a less spectacular view, and as a result, not as great an image. If you can accept that part, it is still worth the hike, and at the very least, worth the view. 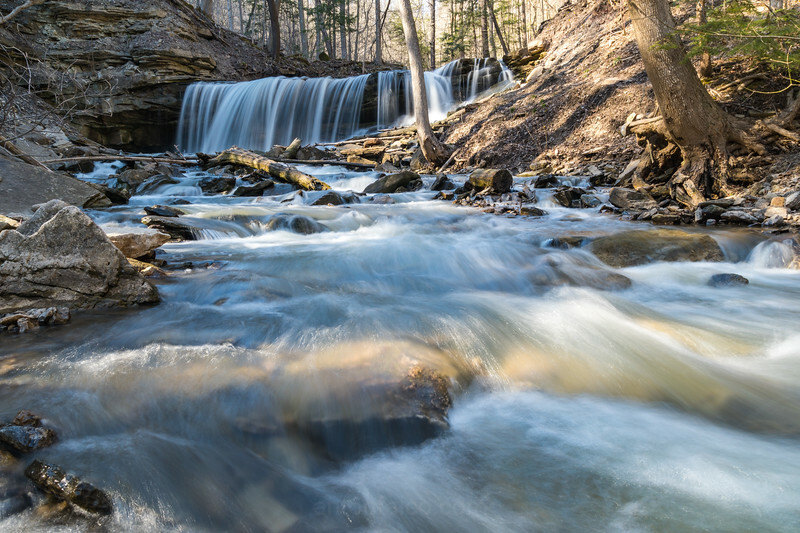 The best months, if you're looking for the greatest amount of water flow are Spring (after the winter thaw), and mid-Fall (when the Fall rains of October start becoming a regular occurrence. Now that that is out of the way, you have to get there. I personally prefer parking at Livingstone Drive and using side Bruce Trail next to the tracks to bring me directly to the Tews Trail. 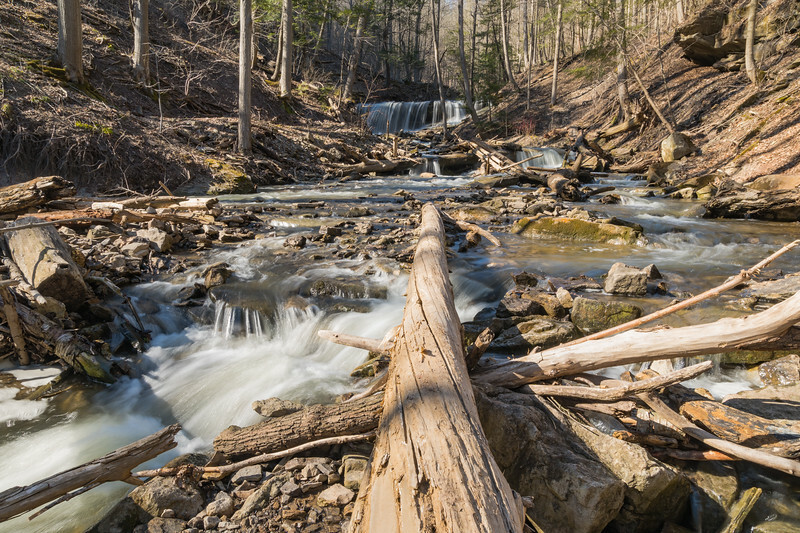 This trail is more scenic and gives you access to another small waterfall on the way, Lower Sydenham Falls (but it reliant on seasonal flow) as well as a chance to observe birds of prey circling around Dundas Peak. I regularly see Red Tailed Hawks here. After about 10 minutes of hiking, you will reach the trail leading north. It is right in the area where Spencer Creek and the railroad tracks intersect (slightly off in the crude map above). 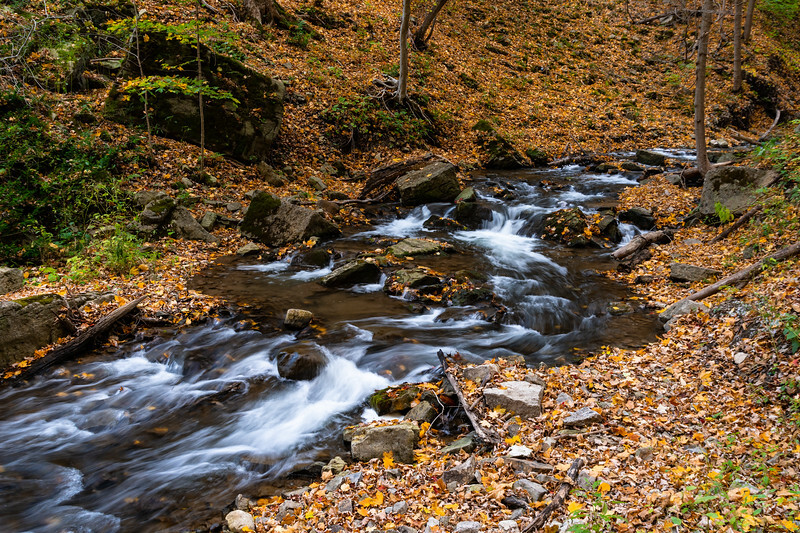 When you arrive at this point, there will be two paths: one will take you to a higher vantage point, but further away from the creek, and a second path that takes you down to the elevation of the creek itself. Be warned: the more scenic path to the bottom is much more difficult, as the path doesn't stay defined. 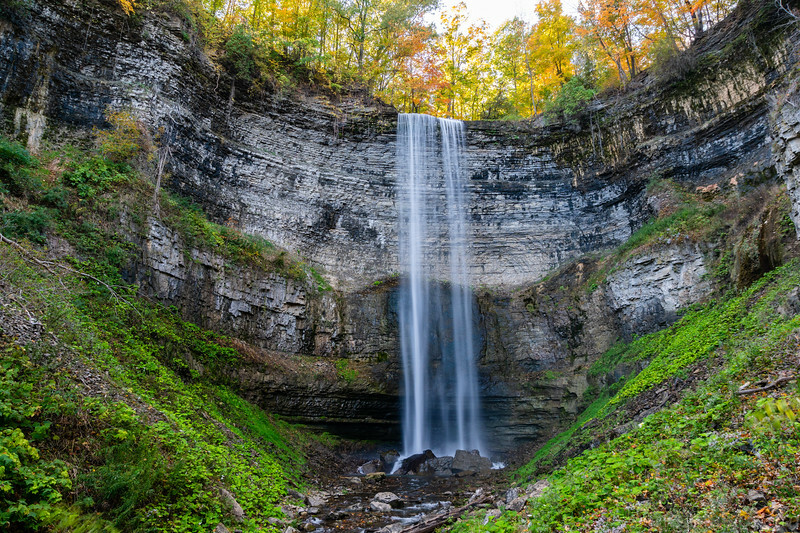 There will be parts where you may need to walk through the water, or climb very steep hills. This will be pretty much impossible to do during high flow season, as it'll be fast moving water and hip level. The top path is relatively painless in comparison to the bottom path, but you will sacrifice picture opportunities along the way. Of note: doing this path in Fall or Winter can be very slick, and the snow/leaves hide the trail, so if you're not familiar with this path, either take your time, bring someone experienced with you, or go when you can see it. I've done this hike many times, and I've had a few close calls with ankle breaker hazards hidden beneath leaves or snow. Eventually, you will come to a fork in the creek. 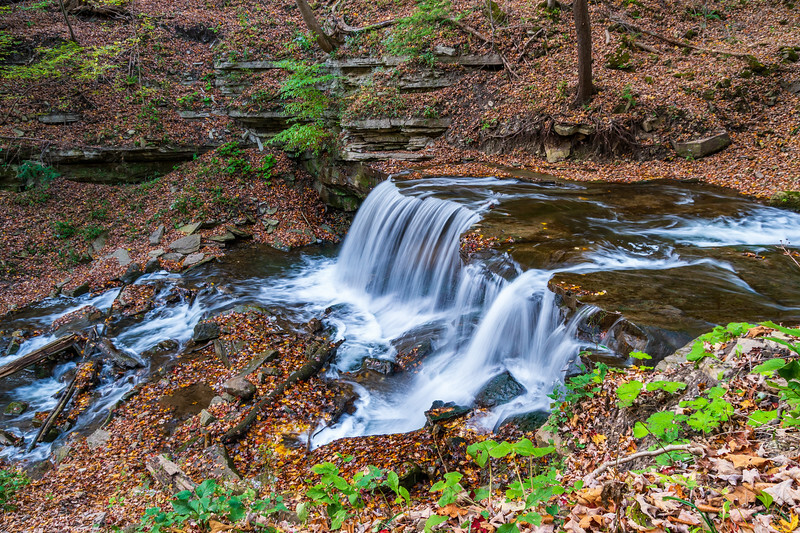 The larger creek, or the path to your left if you're heading north, will lead to Websters Falls. 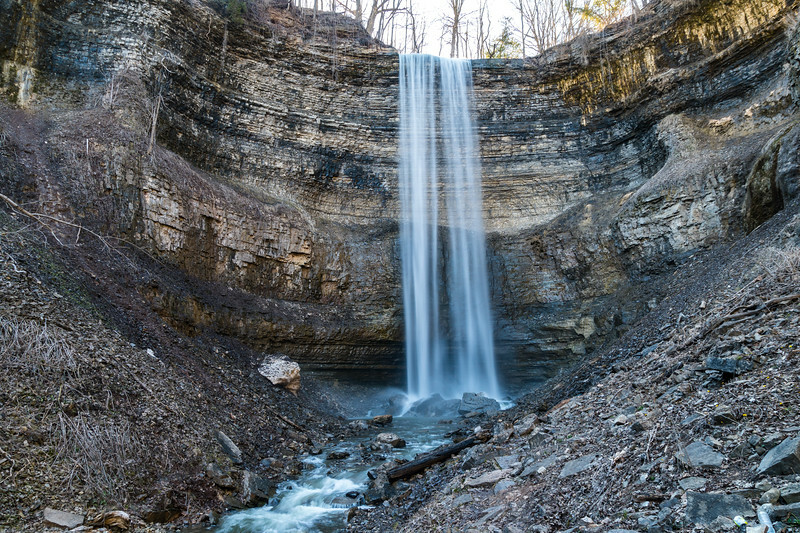 The path to your right will lead you to Tews Falls. 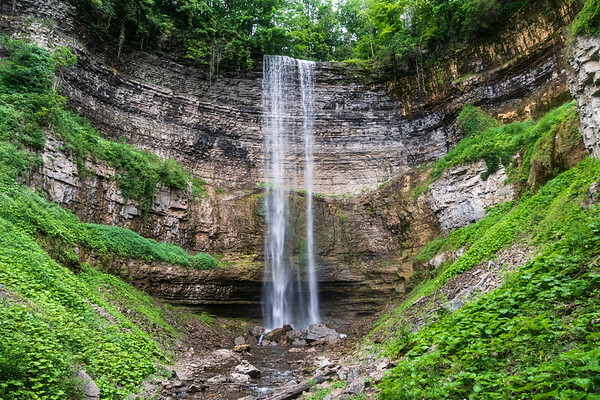 On your way, you'll encounter Lower Tews Falls, which is shown in a brief video above. It's only about 12 feet high, but does make for nice pictures. The good news is that getting to this point was the hard part. 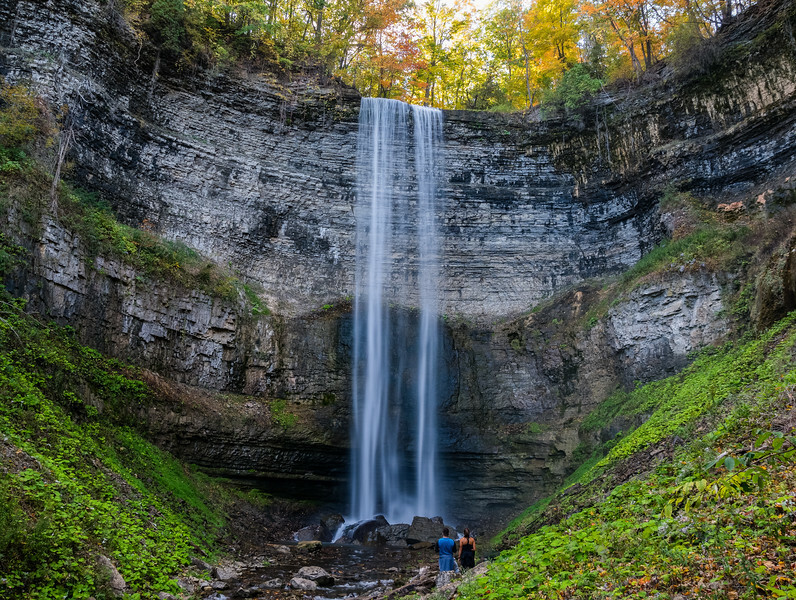 If you continue to follow your path, it will lead you to Tews Falls, a 41m high waterfall that pictures don't do justice. 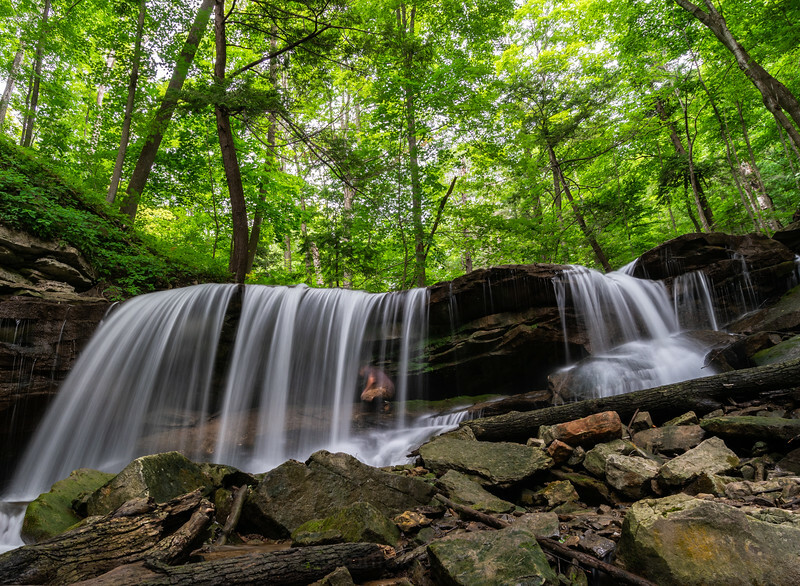 There's a few areas where you can climb down next to the waterfall to get pictures as well, but like I said before, high flow events will make that trail back up extra slick, and take away the best areas to set up for pictures, so be smart about it. The somewhat longer hike is well worth it. In the video above, and the pictures below, you'll see what I mean. For photographers, expect a ton of mist to be sent your way on days with lots of water flow, so try to time your shots between shots of mist sent your way. And bring a cloth to wipe the lens. -First, be reasonable about your level of fitness for this trail; especially if you take the lower trail. You'll going through water, climbing hills and over trees and going through fast moving water. Not ideal for someone who rarely hikes. The higher trial has some hills and trees to climb over, but is much more forgiving. -Bring some water and maybe some snacks. It can be a long hike for anyone not used to longer hikes. Expect about 2 hours total assuming you don't make a lot of stops. -If you choose the lower path, go a few days after a good rainfall, or you'll be walking through high water. Not for the faint of heart for those with lots of camera gear. -Connected to that point, waterproof high boots are highly recommend if you want any pictures anywhere near the falls. Getting to good vantage points means going through water. You can't avoid it here. A few friends and I took the hike back into the bottom of Tews in early August. It's a much better show with green to contrast the falls. I'll enclose some pictures below. I also aim to return in a month or so when the leaves begin to change colors.